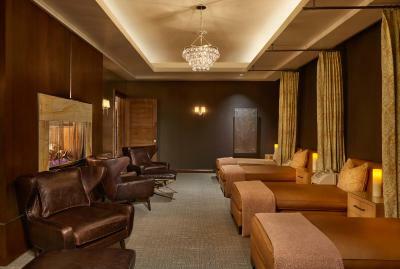 Lock in a great price for St. Regis Aspen Resort – rated 9 by recent guests! 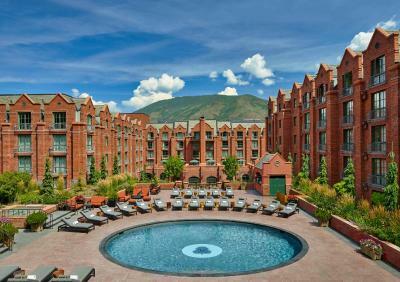 Located at the base of Aspen mountain, St. Regis Aspen Resort features an outdoor pool and ski storage space. Guests can enjoy on-site restaurants and spa services. Private parking is available on site. Each room at this resort is air conditioned and comes with a TV with cable channels. Rooms are equipped with a private bathroom. Extras include bath robes and free toiletries. 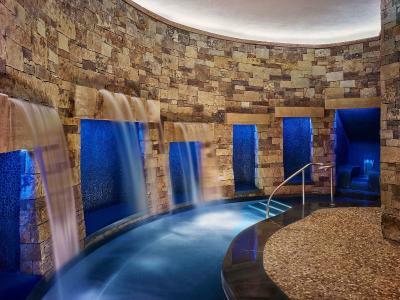 St. Regis Aspen Resort offers 5 different options. The Velvet Buck offers mountain cuisine with local ingredients. 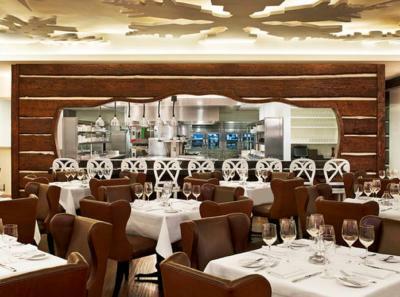 Chefs Club Aspen serves seasonal fare. Guests can enjoy a handcrafted cocktail at Mountain Social. During the summer months Splash pool lounge offers cocktails and handcrafted cuisine. Private dining is also available. 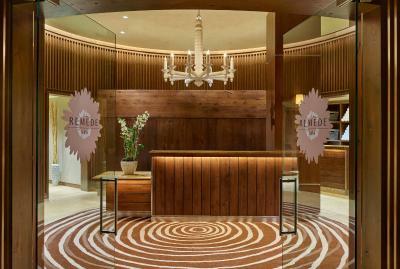 Remède Spa offers a menu of spa services, including facials and massages. There is a free airport shuttle service and gift shop at the property. A range of activities are offered in the area, such as skiing and golfing. The resort also offers ski equipment hire and bike hire. The John Denver Sanctuary is 1,950 feet from St. Regis Aspen Resort, while Maroon Lake Scenic Trail is 1,950 feet from the property. The nearest airport is Eagle County Regional Airport, 32 mi from St. Regis Aspen Resort. 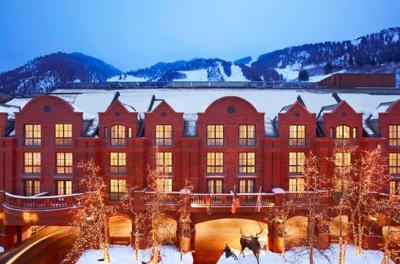 When would you like to stay at St. Regis Aspen Resort? 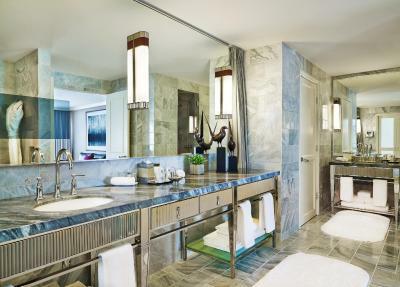 House Rules St. Regis Aspen Resort takes special requests – add in the next step! 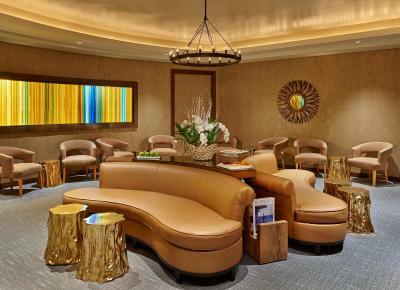 St. Regis Aspen Resort accepts these cards and reserves the right to temporarily hold an amount prior to arrival. Very nice - comfortable bed and room. Gorgeous rooms, attentive staff, beautiful setting. The staff were incredible, rooms very clean, modern and comfortable. The evening champagne celebrating was a nice treat. I just can't say enough wonderful things about the kind, friendly staff! Best hotel I’ve been to. Housekeeping was slow, the room was done typically an hour before the turndown. Ridiculous for a hotel with this reputation and room rates. I had to ask daily for more than one pod of coffee to be left (there were two of us in the room), which should not have been a thought and after the first night unforgivable. Location in the Aspen was great, close to everything and walking distance to ski lifts and shops. The property was very nice and the staff welcoming, especially the wait staff in the lounges. The daily bloody Mary tasting and Champagne sabering were unique and fun. Smores on Friday and Saturday nights were also nice for families. The management was completely unaccommodating when I requested help from the engineering staff in getting my shower wheelchair in and out of the shower. Some service requests a bit slow to room.